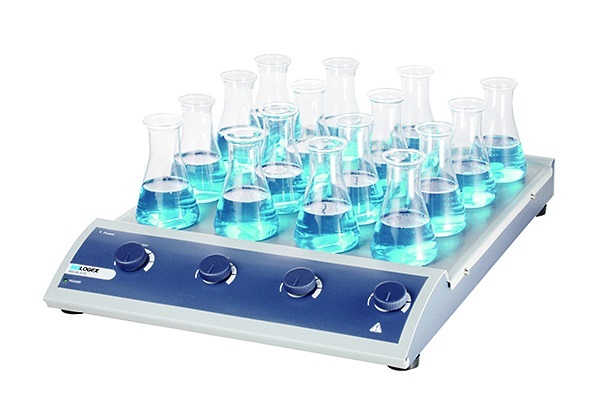 The analog controlled MS-M-S10 and MS-M-S16 10 and 16 position magnetic stirrers feature a powerful rotary drive providing consistent sample condition. 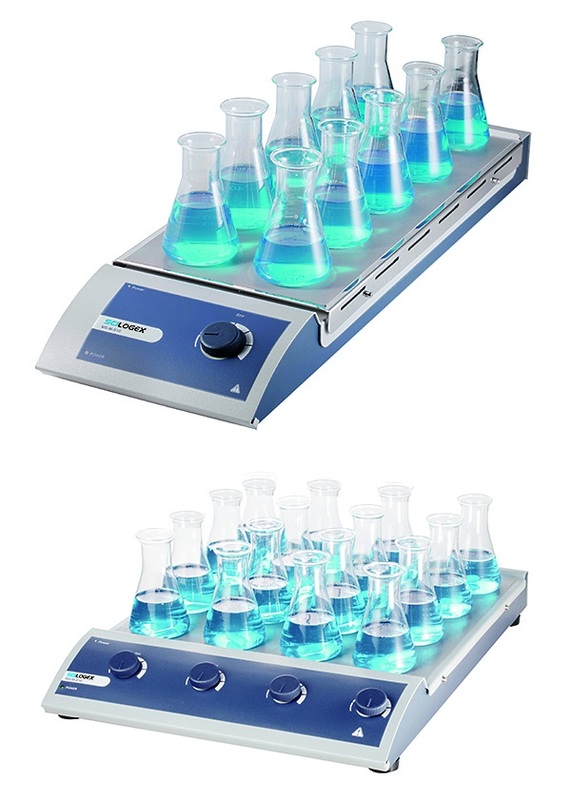 The 10-position stirrer offers a single control for all 10 stirring vessels simultaneously with a maximum volume of 400 mL per position, while the 16-position stirrer has individual control for each of four columns of 400 mL flasks. The multiposition stirrer surfaces are stainless steel with silicone anti-slip mats that are chemically resistant and easy to clean. 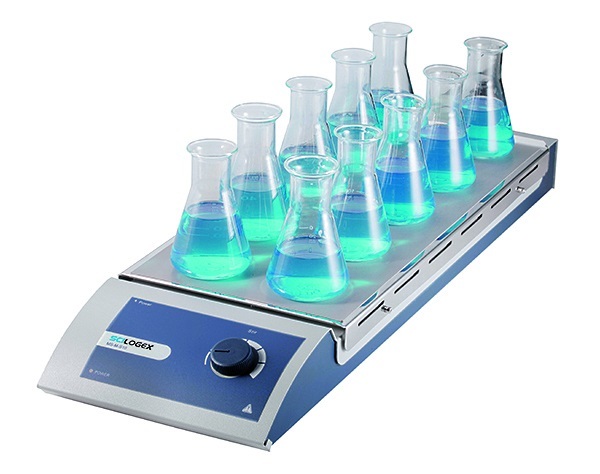 The Scilogex magnetic stirrers are equipped with brushless motors offering speed control from 0 to 1100 rpm.